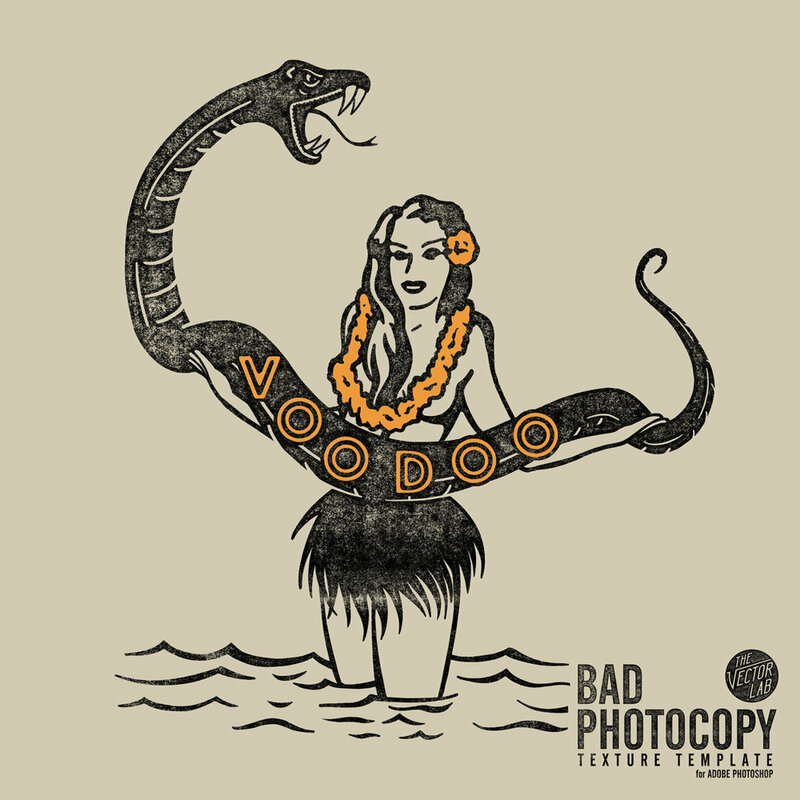 Today I'm excited to let you know that I've started a new t-shirt brand called Voodoo Island. (@voodoo_island on Instagram). The purpose of this brand isn't necessarily to sell a ton of t-shirts. Have fun and make cool stuff - Hawaii, Bali, and surf-oriented subject matter... with a twist. Lots of fresh lettering & logo designs too. Showcase brand new design ideas - Most of the designs I make for big surf brands are a year old by the time they are printed and displayed in store. Explore new t-shirt printing techniques - Again, no big-brand restrictions with profit margin or concerns for mass-market appeal. Show off real-world results using design resources from TheVectorLab - Want to see what Plastisol Textures or Inside Out Reverse Print Textures really look like when printed onto a shirt? Now you will! Here's one of the recent designs for Voodoo. The texture for this graphic was applied using one of my favorite tools, the Bad Photocopy Texture Template. 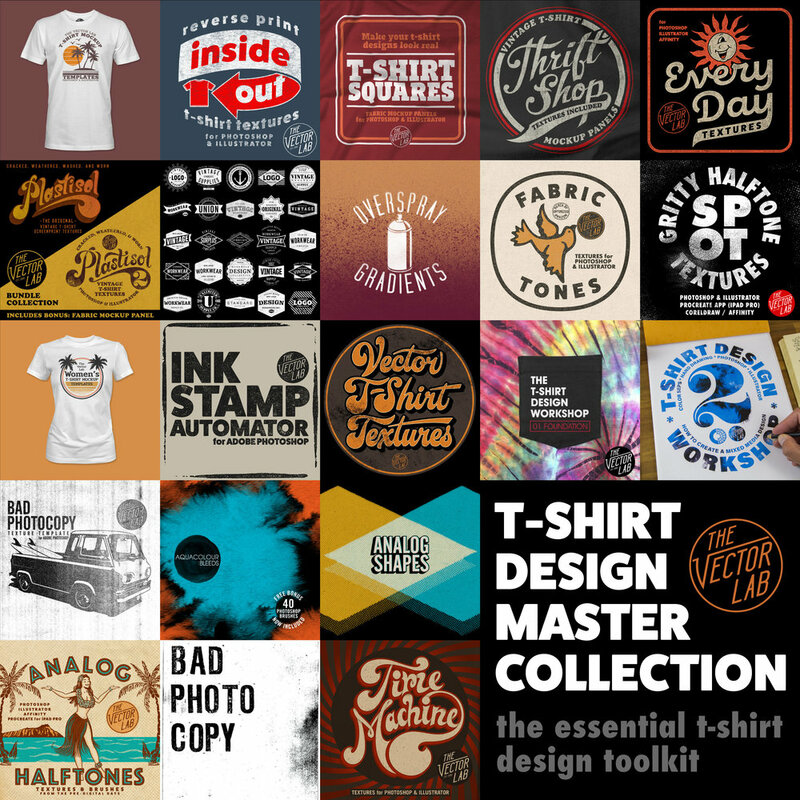 Did you know: Bad Photocopy Texture Template is also part of T-Shirt Design Master Collection, the best deal on the biggest bundle of T-Shirt Design Resources. That's all for now. If you are interested in seeing more about the new Voodoo Island Brand and also TheVectorLab resources used to make the graphics, you can follow along on Instagram.